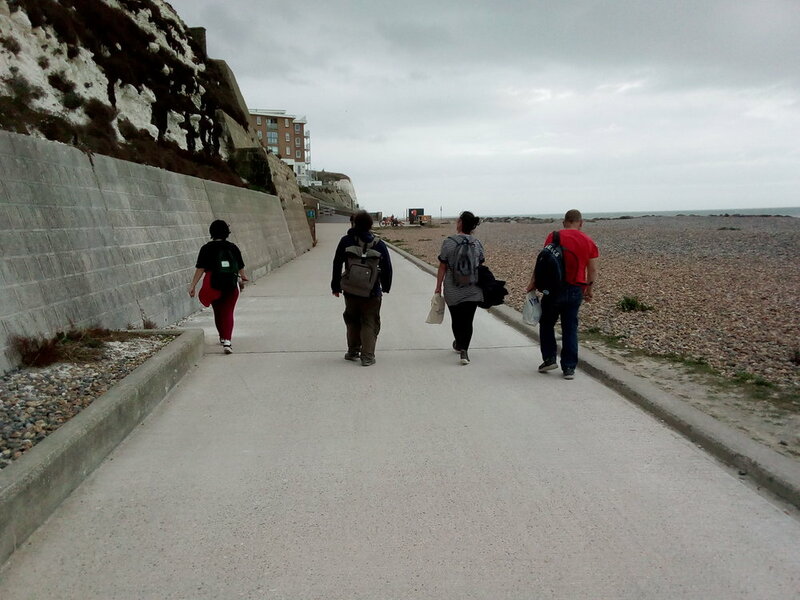 It was a blustery day in September when six Artspace members and volunteers stepped out from the studio to walk to Rottingdean. We were hoping to raise money to help fund our winter exhibition which will be held on December the 15th in the Open Market and feature new artwork from our members! 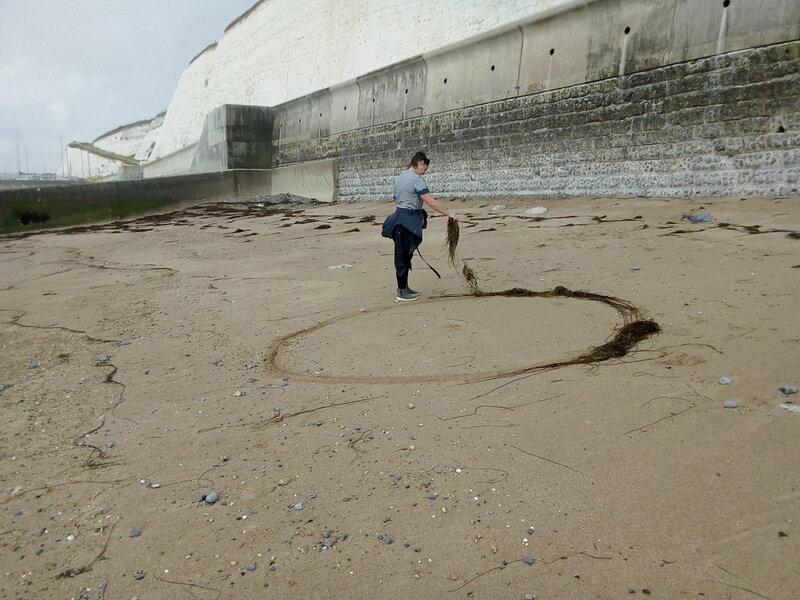 We planned to spend some time making use of found objects and the beach to be creative. One of the members used chalk to draw a line for much of the way. Others made marks in the sand, and arranged stones and other objects. 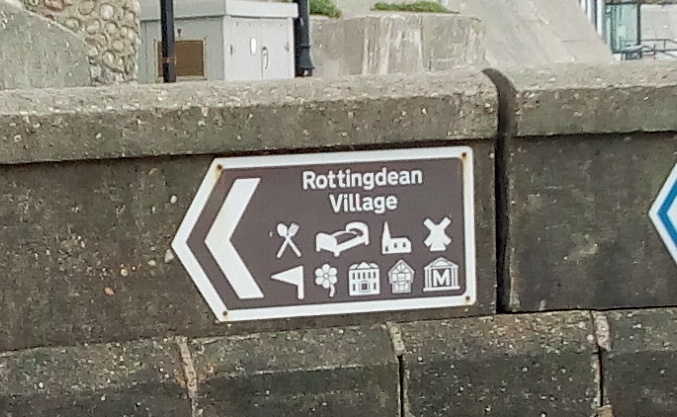 There was a lovely cafe in Rottingdean at the end of the walk waiting for our custom. It had beautiful views out to sea. We would like to thank everyone who made the walk, and contributed dosh for our exhibition. Don’t forget to stop by our show in December, meet our team and members and of course view some art!